Do you and your spouse or roommate debate the best way to load the dishwasher? Should you pre-wash the dishes first? Do the plates need to lean in a certain direction? How many dishes can fit in one load? The answers to these questions can actually ensure your dishes are as clean as possible. Plus, by loading your dishwasher properly, you can make sure your dishes don’t break. Follow these 10 helpful tips when loading your dishwasher to ensure your dishes are the cleanest they can be. Of course, you should scrape off any caked-on food left on the dishes before loading them into the dishwasher. But you can skip pre-washing your dishes before putting them in the dishwasher. 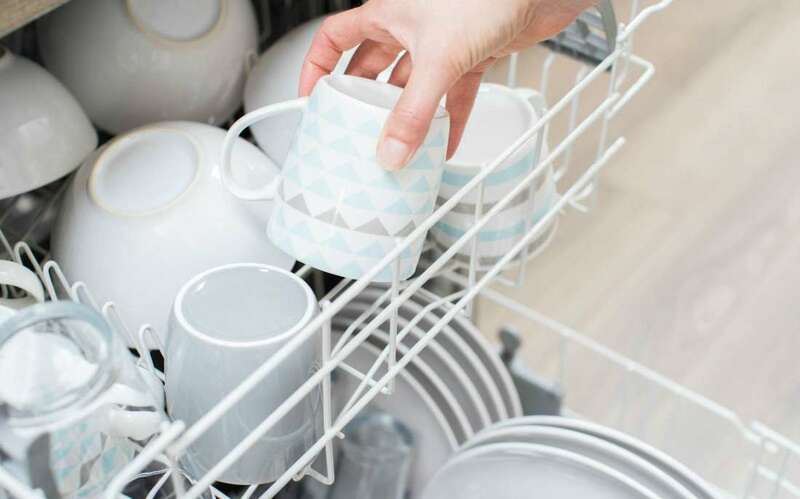 If you find your dishes coming out of the dishwasher less than clean, you can rinse them off quickly with hot water before loading them into the dishwasher. This step will loosen up stuck-on food. Remember to place plastic dishes in the top rack. Why? Because the heater in many dishwashers is located on the bottom. Placing plastic near the heating element could cause it to melt. Also remember to make sure plastic containers are facing down so they don’t fill with water. 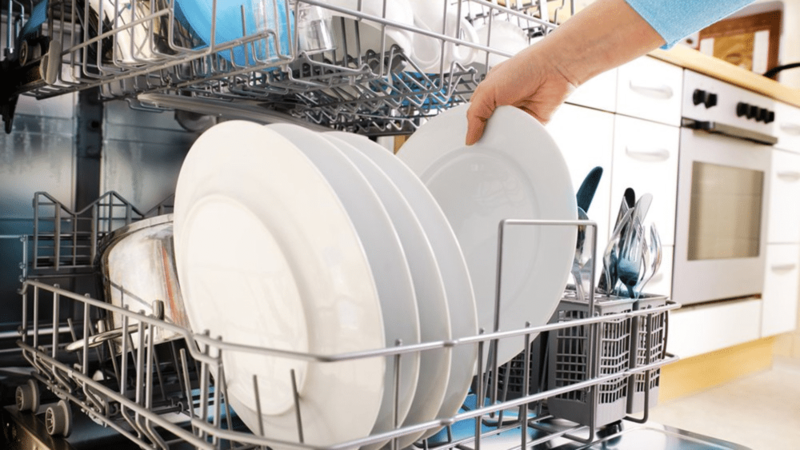 Place larger plates and dishes toward the back of the bottom rack of the dishwasher so they don’t block the water spray. And remember to place pots and pans open-side down in the bottom section so they don’t fill with water. 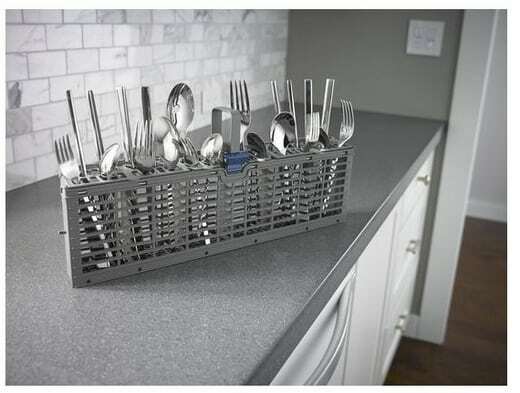 Begin stacking your dishes at the back of the dishwasher. This makes is easier for you to add dishes to the dishwasher until it’s full. Plus, it is easier to unload a well-organized dishwasher. Leaning your dishes slightly helps the detergent spread evenly. Plus, it helps the water drain properly. Leaning dishes downwards and inwards is most effective. This is most helpful in making sure water does not pool on top of the dishes. If you stack dishes on top of each other in the dishwasher, they may fall over or even break. Instead, stack dishes one by one at an angle. They’ll be more secure, less likely to break, and get the benefit of a full wash and dry. Make sure that your glasses are not touching each other when you put them in the dishwasher. If they are touching, during the wash, the water pressure might clank them against each other, possibly causing them to break. Also, always put small glass on the top rack and bigger glasses on the bottom rack. While you want to fill up the dishwasher completely before turning it on so you don’t waste water, you don’t want to overload it. 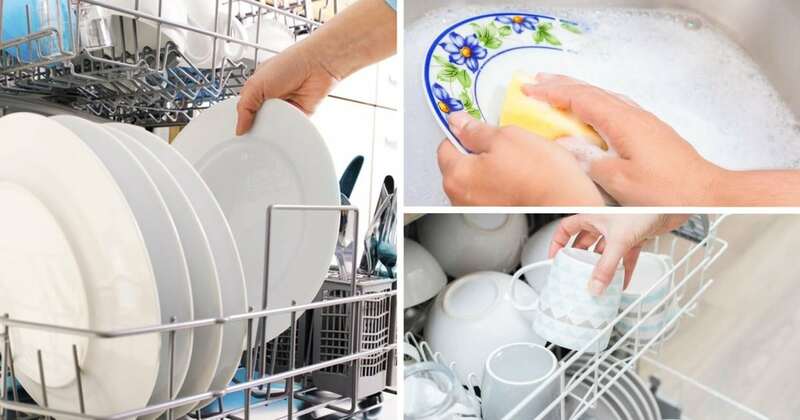 If you put too many dishes in the dishwasher, the soap and water will not likely reach all of the dishes for a proper wash. If you put sharp knives in the dishwasher, place them face down inside the cutlery rack. 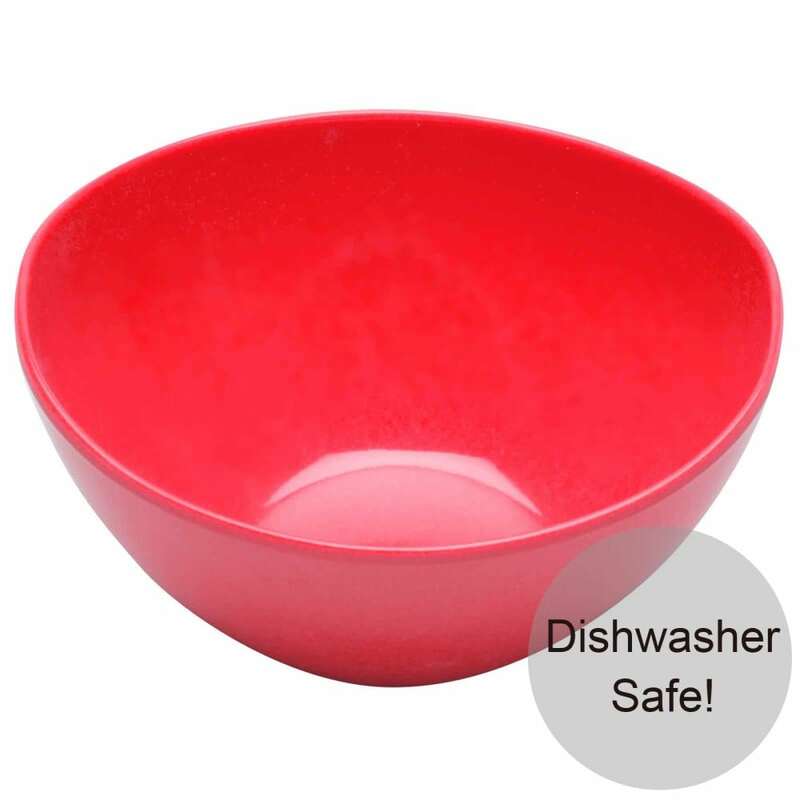 This helps prevent any type of accident when you reach into the dishwasher. Place all other cutlery handle side down. For serving spoons and similar cutlery, place it laying down flat on the top shelf.